In August 2016 Danish producer of roof windows, VELUX, announced a collaboration with Apple to develop products compatible with HomeKit. 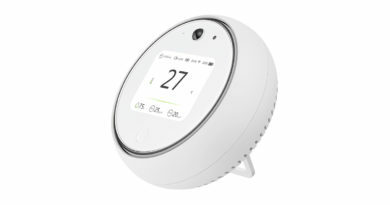 Then in January 2017, VELUX announced a partnership with French smart home company Netatmo, and in July 2018 VELUX ACTIVE was available for controlling VELUX roof windows, roller shutters and sunscreenings. 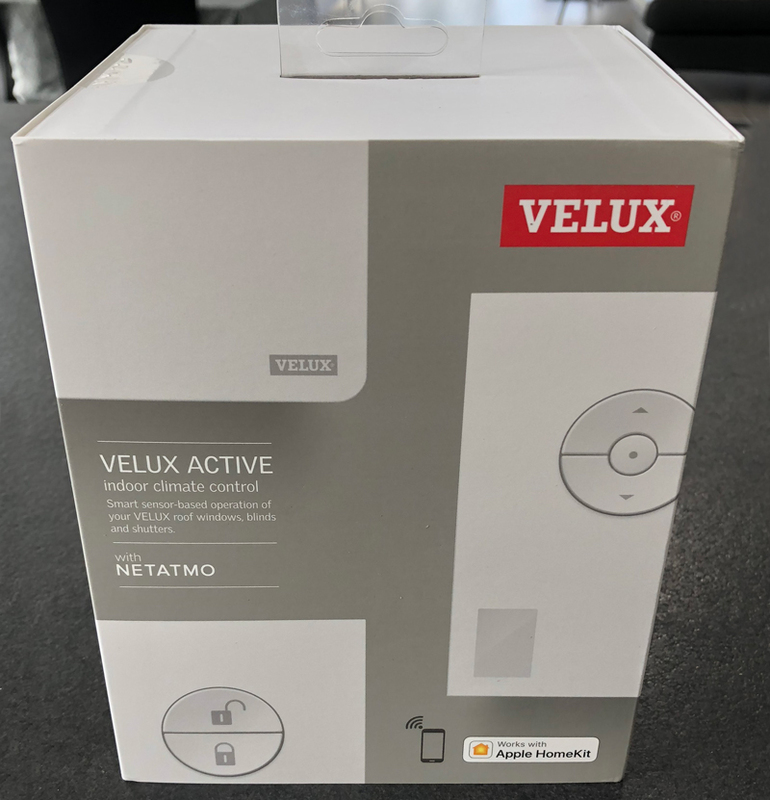 As an owner of two VELUX Integra roof windows I had longed for a smarter solution than just the accompanying remote controls for opening the windows, so my expectations where quite high when I ordered the VELUX ACTIVE kit. 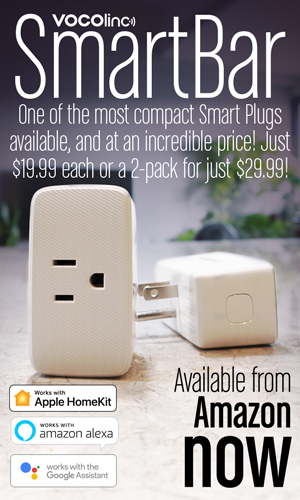 The box containing the product is nice with a short description and a mention of both Netatmo and Apple HomeKit. The Climate Sensor will measure temperature, humidity and CO2. There is also switches to manually open or close the VELUX windows, roller shutters and sunscreenings. The Departure Switch is used for manually securing the VELUX windows, roller shutters and sunscreenings. The same function is available in the app. The gateway connects wirelessly to the internet and allows operation from outside the local network. 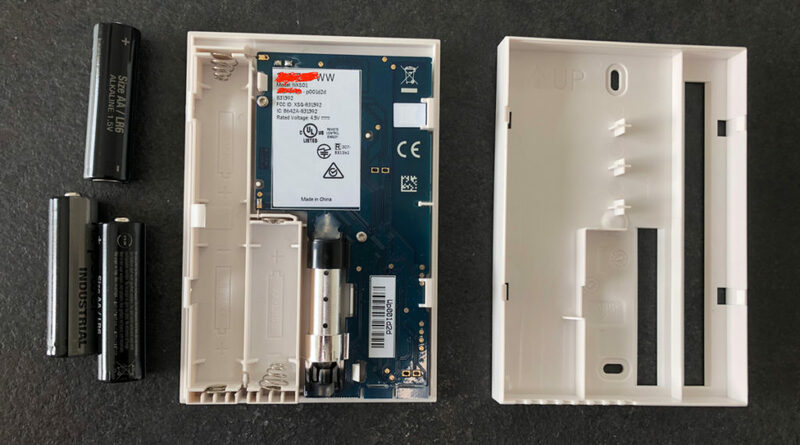 In addition to the main hardware, there is a manual, two different power cables, batteries for the Climate Sensor and Departure Switch, and adhesive and screws for wall mounting. To insert the batteries you need to press two clips on the side of each of the devices with a screwdriver or something similar. 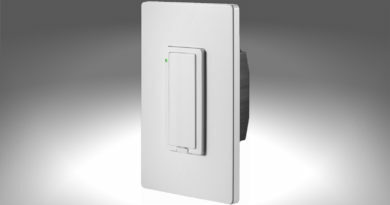 The indoor Climate Sensor uses three AA batteries and the Departure Switch uses two AAA batteries. The overall feel of the Climate Sensor and Departure Switch is unfortunately a bit cheap and plastic-like, but once assembled again it seems fine. 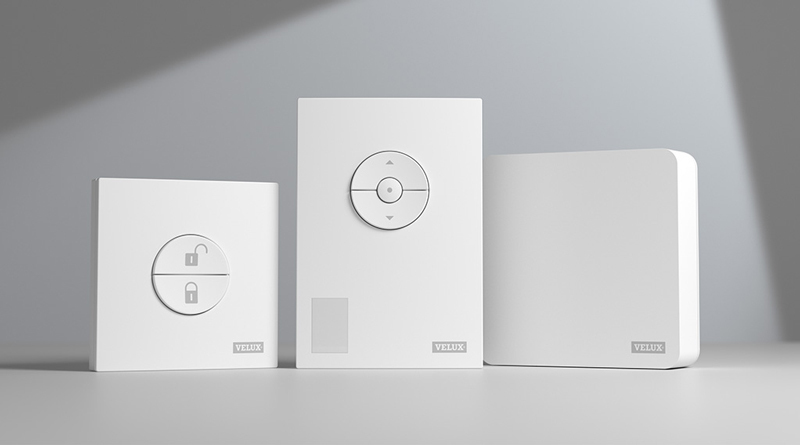 When batteries are inserted and the gateway is connected to a power outlet, setup and configuration can begin after downloading the Velux Active app from the App Store. A setup assistant will guide the user through connecting the gateway to the network, pairing the devices and configure the rooms etc. Afterwards it is possible to adjust preferred settings for temperature, humidity, air quality and time for automatically opening windows for ventilation. One thing to keep in mind is that each room with a window, roller shutter or sunscreening is supposed to have an indoor Climate Sensor. The Climate Sensor itself can handle many windows, but obviously it can only measure values in the room it is situated in. 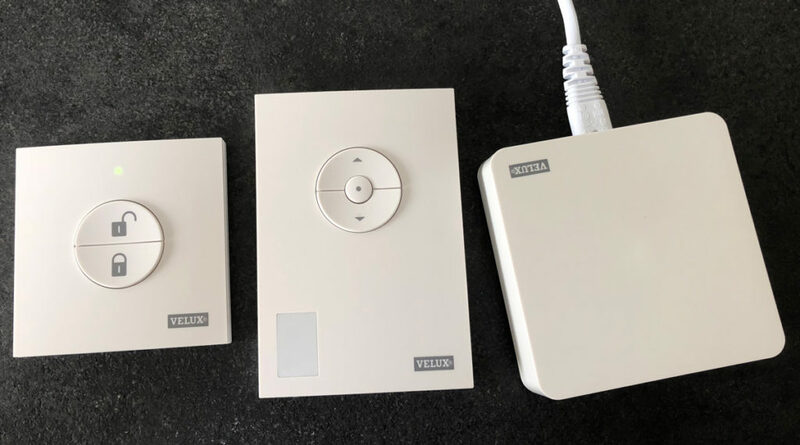 When setup is done the user can add VELUX ACTIVE to HomeKit via the Home app where it will show the windows/roller shutters/sunscreenings, the gateway, a Carbon Dioxide sensor, Humidity sensor and Air Quality Sensor. These sensors can be used to trigger scenes, automations and notifications and of course you can tell Siri to “Open the windows” etc. I have been a user of VELUX ACTIVE for about a month and my overall impression is good. The automatic ventilation works as expected, and being able to use Siri and the app to open and close my roof windows whether I am home or not, is a nice feature. So far, I’ve found this particular velux product very difficult to work with. The need for internet connectivity and a smart device to perform a simple initial test of operation is problematic to say the least. I had to download an app, configure a gateway, download and install firmware updates, and then I still have three components to install somewhere in the space (the Typical factory remote is a single touch screen device that can control up to three separate skylights with blinds, much easier to use than the clunk app and cheap feeling plastic push button pads). I am very disappointed to find out that skylights which are configured at the factory to operate with the Active system are not compatible with the factory touch screen remote, so my clients have no choice but to use the cheap remote pads that are included in the Active kit. The fact that this system won’t even work without a smart phone or Internet is rediculous. Unless you or your clients are minor tech wizards I’d recommend sticking with the typical touch screen controlled skylights. 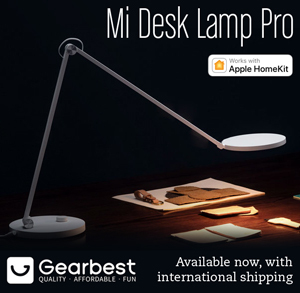 Are the departure switch buttons also available in HomeKit? I’d like to use these button to trigger the I’m leaving and I’m home scenes. 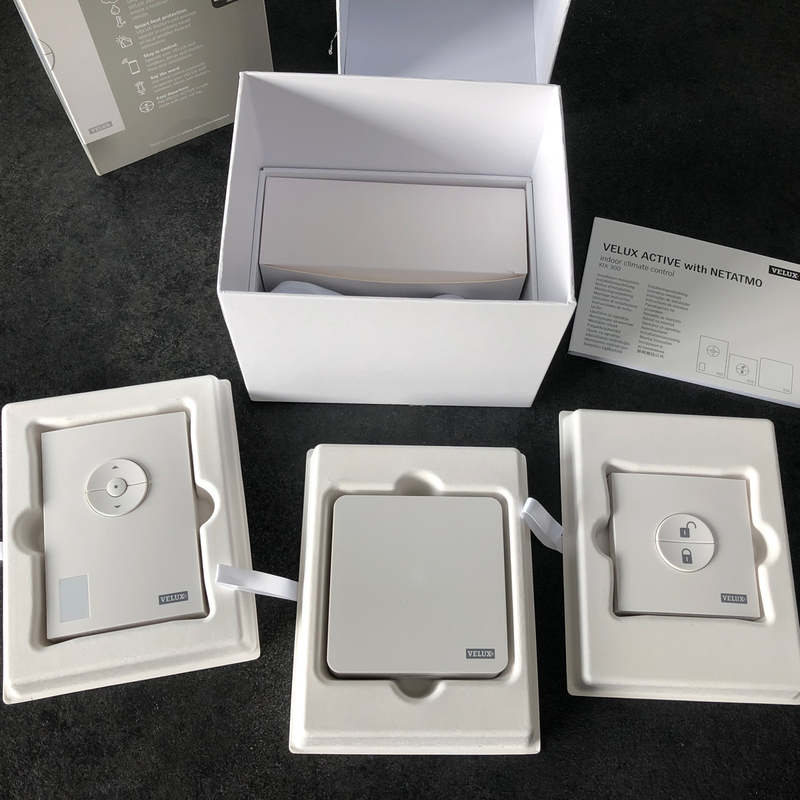 I have five skylights in our home and although the initial set up requires you to go through a number of steps, I found the system rock solid once everything was programmed and in HomeKit. I highly recommend the Velux Active for anyone who wants HomeKit compatibility and ease of use. I have this system in place since launch (4 months or so) and have had zero problems once fully configured. I absolutely love the system and it was worth every penny and more!